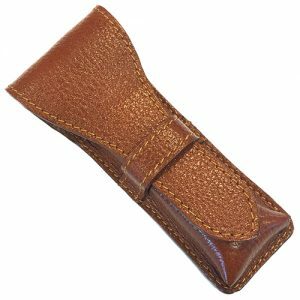 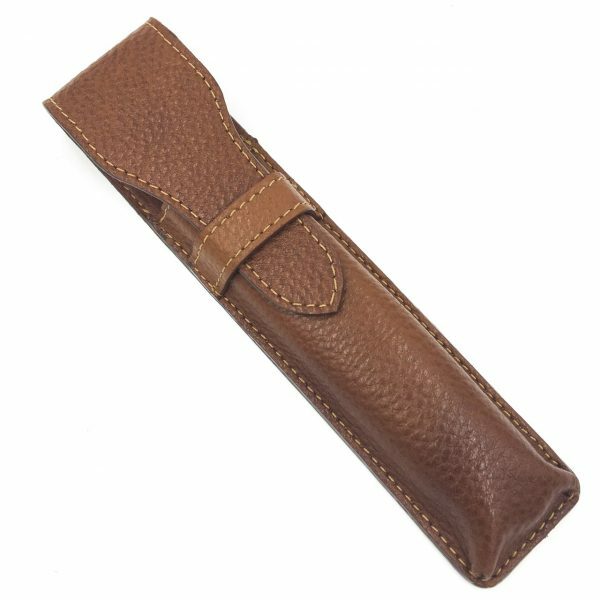 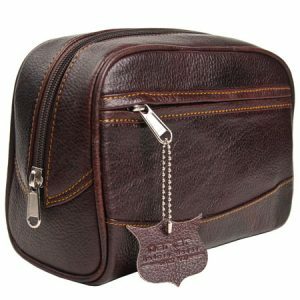 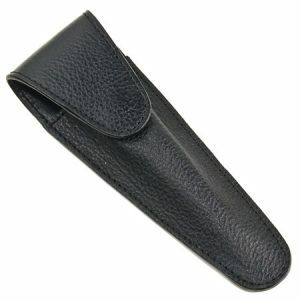 Recommended for all shavette and straight razors, this high quality hand stitched case is made of genuine saddle brown leather to protect your razor. 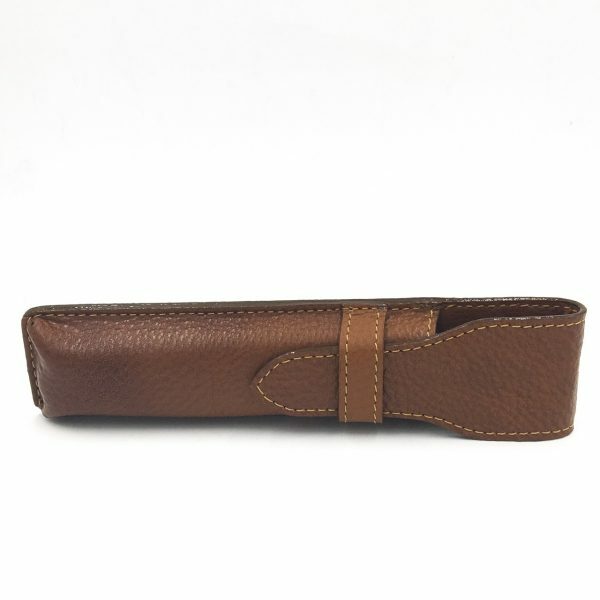 It will elegantly hold your razor while in storage or traveling. 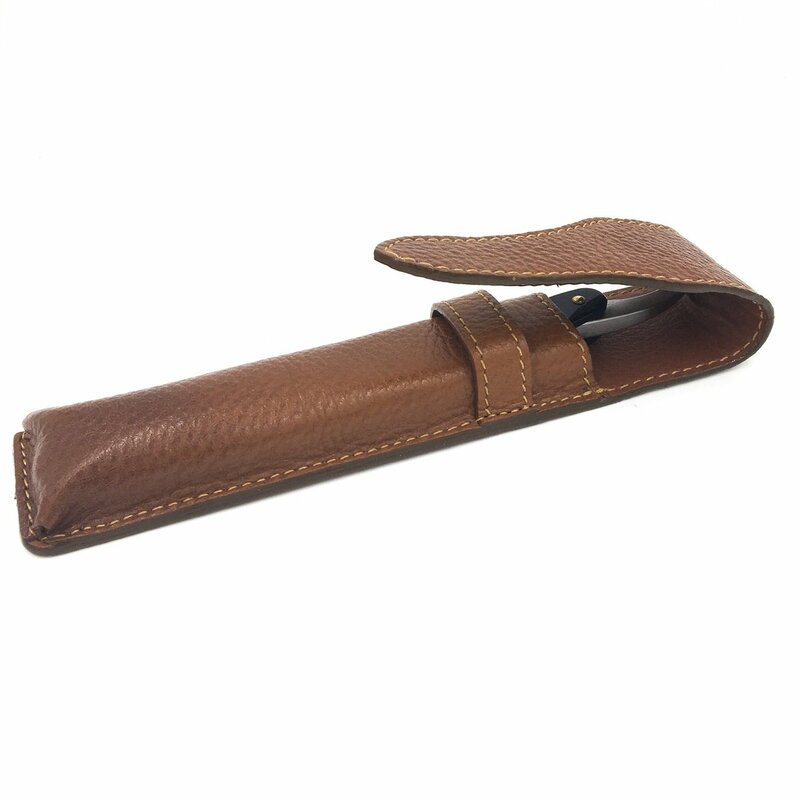 Why not protect your fingers when razor fishing in your toiletry bag or medicine cabinet?